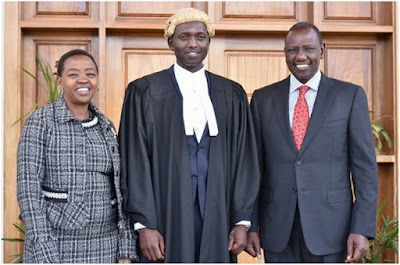 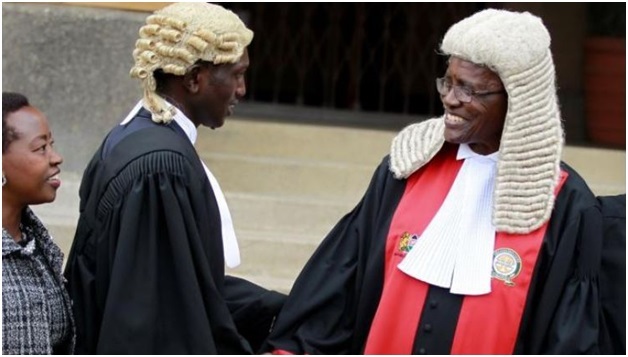 Thursday, February 14, 2019 - Deputy President William Ruto’s son, Nick, is among new advocates admitted to the bar on Wednesday, in an event presided over by Chief Justice David Maraga. 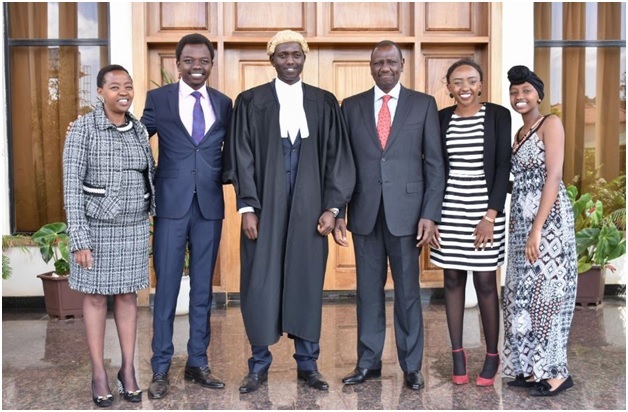 Nick was gazetted as an advocate in December 2018, qualifying him to argue a case in court. 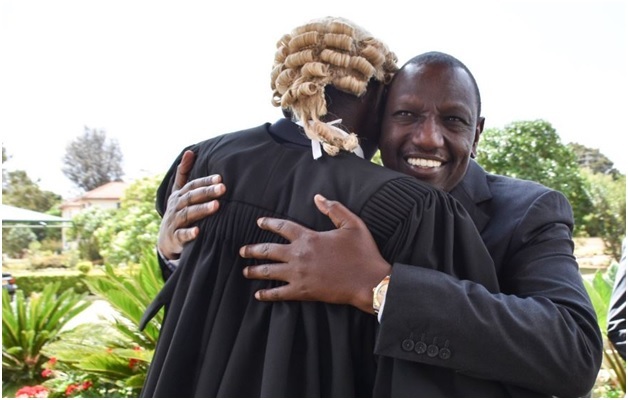 The DP took to his official twitter account to congratulate him on his milestone. 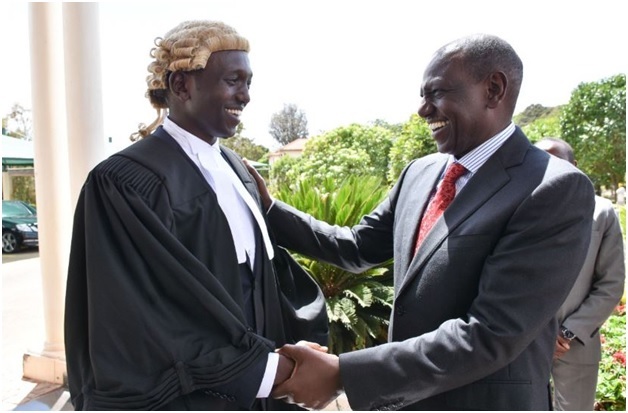 “Hearty congratulations Nick Ruto for being admitted to the bar. 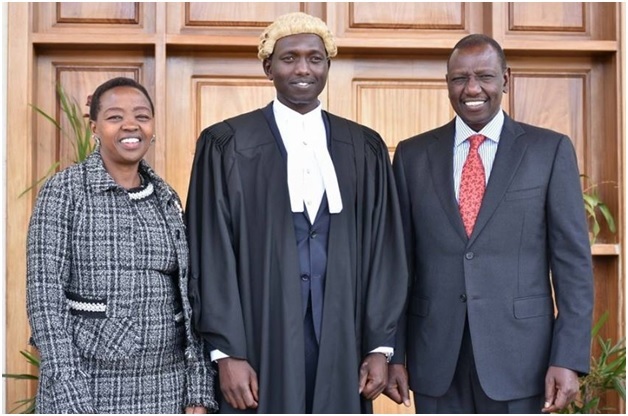 As you begin a career in the legal profession, may you stand true to your calling as a defender of justice, human rights and an avid campaigner for equality and truth,” he tweeted.